There are two venerable British-born franchises with a rotating stable of actors playing the lead: James Bond, and Doctor Who. In both cases (and I’ve informally verified this in conversations with fans of both, from both sides of the pond), one’s favorite is whoever is occupying the role when one first delves into it. 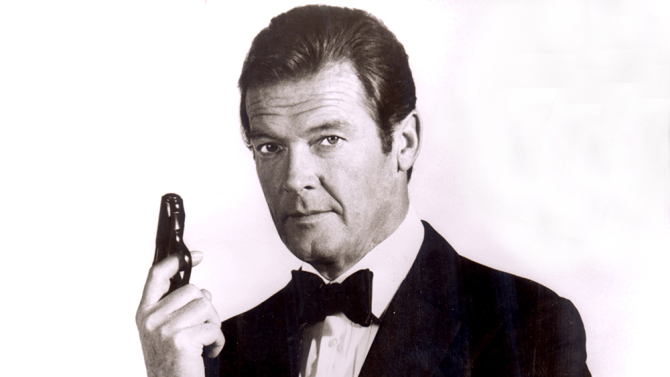 Roger Moore was James Bond between 1973 and 1985. Those were the formative years for we Gen-Xers, and thus we formed an attachment to Roger Moore as 007. We may have gone back and watched the Sean Connery films, and we might have stayed with the Bond brand through the years of Brosnan, Dalton, and Craig. Doesn’t matter. For millions of us, Roger Moore, smooth as silk, was and forever shall be Her Majesty’s secret servant, James Bond. Sir Roger Moore, KBE, passed away today at age 89 after a brief battle with cancer. We are shaken, and we are stirred, and he will be sorely missed. This entry was posted in New Post and tagged RIP, Roger Moore. Bookmark the permalink.